What does #AnyoneCanBeFreeman really mean? 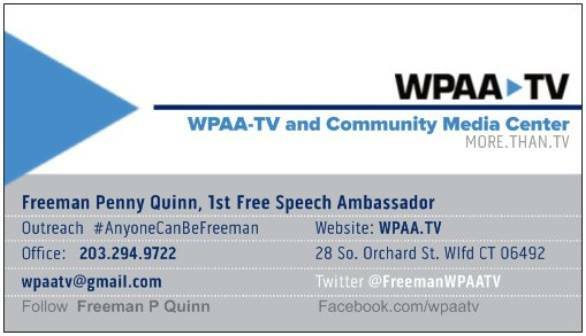 “Do you have what it takes to be a card carrying ambassador of free speech as Freeman P Quinn 1st?” All of humanity has the capacity to embody Freeman but not all humans have the social and emotional skills. Here is what it takes: A commitment to the open expression of ideas and civil engagement with others. It requires an awareness of story as a trans-formative tool involving discernment and active listening. To rightly embrace Free Speech one must also embrace justice. An abiding commitment to justice and understanding the boundaries of speech in pursuit of justice is challenging. Judge Holmes’ dictum that “falsely” shouting fire in a crowded theater (1919) is not protected speech was intended to explain that the First Amendment is not absolute. It was not until 1969 that a higher bar for what could be punished by the government was set. Speech that is “directed to inciting or producing imminent lawless action and is likely to incite or produce such action.” is not protected speech. In this era of FAKE the protection of Free Speech is vital. It might be argued “a man who stands in a theatre and warns the audience that there are not enough fire exits” should be given access to the stage. But, what if the fire code is met and the speaker is actively spreading misinformation packaged to look like it has reliable sources. FAKE is a threat to democracy. It is not protected with proof of actual malice. – “that is, with knowledge that it was false or with reckless disregard for the truth.” But intent, proof and truth can be quite a tangle where forms of expression need ‘breathing’ space to survive. Free Speech at the Core of Community TV? 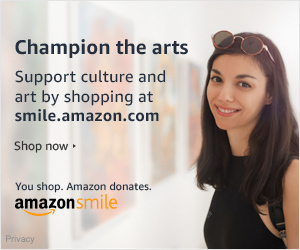 Community TV is hyper-local, non-commercial and a tool of democracy providing resources to citizens in support of free speech. This also means at no or low cost. The commitment to uninhibited, robust and wide open debate on public issues such as safety in public places is fundamental. Similarly there is a commitment to the Universal Declaration of Human Rights: Human dignity is inviolable. Some Free Speech boundaries are less clear when the interaction is thru media rather than in a physical proximity. Like Social media we are not usually supporting face-to-face discourse. Unlike social media, content distributed as TV is not an anonymous voice. Another difference is that TV production is labor & tech intensive. TV production usually requires team work. And providing free or no cost resources often involves volunteers on these teams. Can anyone volunteer? Ideally yes, but realistically no. All volunteers must respect the inherent principles of Free Speech, its relationship to dignity of persons and embrace just behavior and adopted practices. Volunteerism is at the core of citizen media! Volunteers are priceless. With our commitment and approach they are also an investment. Our approach involves 1) supporting volunteer goals, and 2) mutually beneficial outcomes for the organization. Supervisory and training resources are limited so selection of volunteers is highly selective. To help operate the organization on behalf of the people of Wallingford, volunteers are vetted. Most get college or community service credits. These programs also have a framework for service as well. Selecting our volunteers is the role of the Executive Director. A volunteer assessment is similar to a job applications. The Q & A would initially identify how familiar the prospective candidate is with the organization. What does the candidate already know about community media in general or WPAA-TV in particular? Have they watched any shows? Have they checked out our website before calling or writing? Do they know people who have been involved that can recommend them? Have they helped a producer? Do they know what skills they have which might be useful? Do they have predictable days and times that can be incorporated into our process? The Benchmark: Can you be Freeman? All volunteer inquiries do not result in a match. Some candidates do not have skills we can confidently deploy. Others can not work within our scheduling. Some can not be independent enough. Reasons for not selecting a volunteer can be many. The most important benchmark is #AnyOneCanBeFreeman. Can these prospective volunteers be the face of the organization we want Wallingford to see? We do not have a crystal ball but conversation can reveal enough. This is what we try to discern. Does the candidate exemplify our values? Does their personal life have evidence of pushing the limits of free speech with inflammatory or fighting words whether they be colorful, foolish, vicious, dramatic or quixotic. Is there some certainty they can aspire to our core competencies in the fulfillment of the duties they become accountable for?